The Ground Training Unit (GTU) has successfully conducted another batch of AVSEC Train the Trainer (ICAO Material) last 2nd to 6th November 2014. 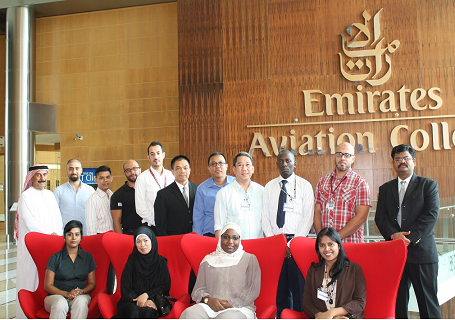 A total of 13 aviation professionals from Emirates and other organizations attended the program, all aiming to acquire the essential knowledge and skills to perform aviation security training duties. Kishore Kumar Ramasamy, Training Officer from GTU was the course instructor. The participants were from different units of Emirates Group Security, Centre of Aviation and Security Studies, Emirates Flight Catering, dnata Singapore, dnata Philippines and Qatar airways.